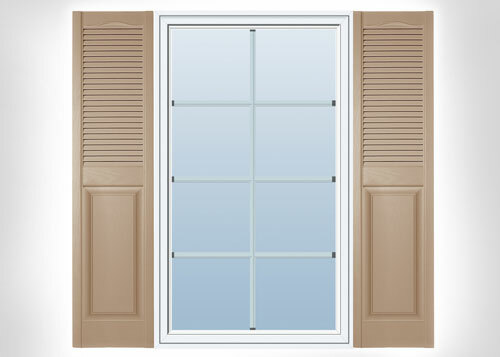 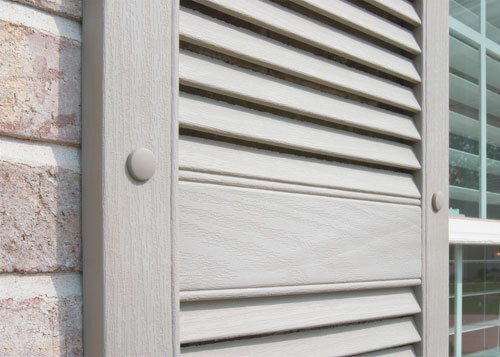 Our vinyl decorative panels are a great economical, durable, and low-maintenance option for exterior shutters. 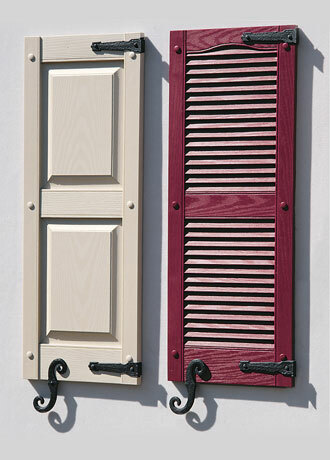 They are made from the highest quality polypropylene copolymer with molded-through color. 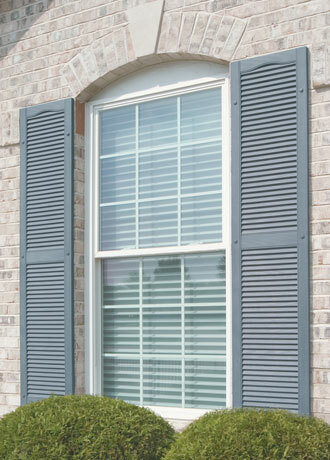 They come in a large selection of styles: choose from louvered, raised panel, and board-n-batten shutters in a range of widths (up to 18"), and your choice of 17 decorator colors. 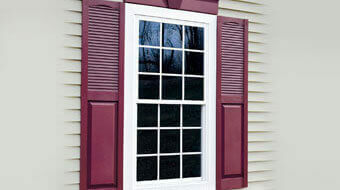 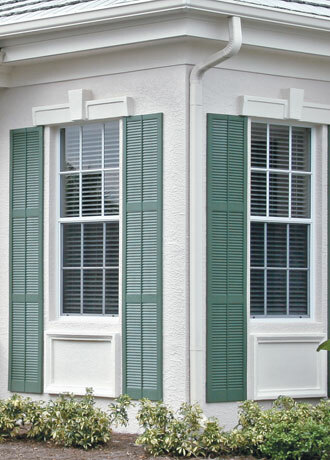 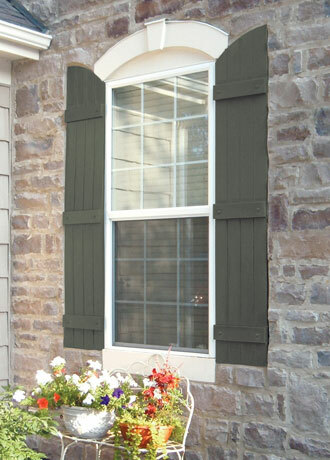 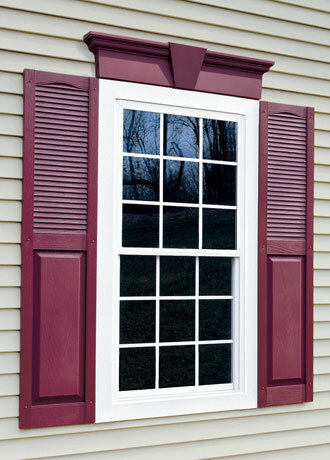 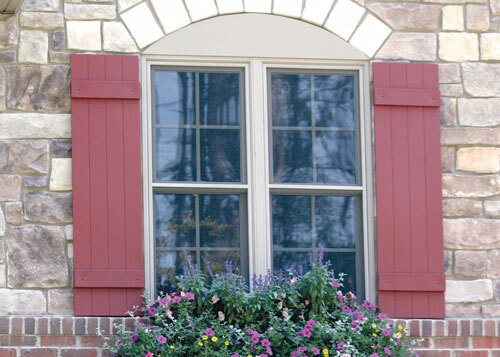 If you prefer, you can buy your vinyl exterior shutters unpainted and paint them yourself. 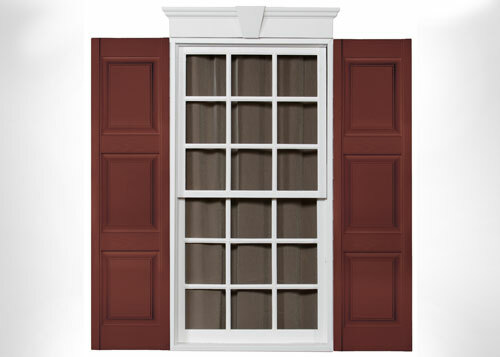 We also offer optional divider rails, cathedral arch detail (for the louvered style), and decorative vinyl hardware.